all roads lead to problems in west vincent? My husband, George T. Graham, D.D. S., and I, Suzanne M. Roth; wish to express our profound disappointment with the lack of oversight displayed by the Board and its advisors to protect our Historic School House property. We now face a 10,000 to 12,500 square foot office complex on this 2.78 acre property which far exceeds reasonable development. We do not believe that a Fiscal Impact Statement should be waived. This is an historic village with roads to match. If the property is developed as planned for each parking space allotted there will be 8 cars trips anticipated to travel our roads. That would mean approximately 256-270 more cars passing our house on a daily basis or turning around somewhere in the village to enter the office complex. With this amount of volume we will need a traffic light at the cross roads of School House Land and Flowing Springs Road and a 3 way stop at the juncture of Hollow Road and School House Lane to prevent accidents. The steep grades and lack of sight lines should make this necessary. The township police cannot enforce the 15 MPH speed limit on the lower portion of School House Lane now. I believe this added volume will make us ripe for accidents. As it is now most of the people who travel this portion of the road DO NOT OBEY the speed limit and many small collisions occur as evidenced by the amount of mirror glass on the road and its verges. In inclement weather we have had 2 very major accidents at the corner of School House Lane and Hollow Road; one when a car went airborne off School House Lane and clipped the side of the Sladek house and moved the LP gas tank and another when a car again went airborne off Hollow Road and entered the Sladek barn on the second floor level. Working plans drawn by Edward B. Walsh in May 1991 to enable the installation of utility sheds on this same property show an active stream and wetlands. In fact the buildings were moved to comply with a then 50 foot set back from the stream. As the plan stands now all evidence of these natural resources has been removed. The stream has been piped and the wetlands denuded and filled with stone. 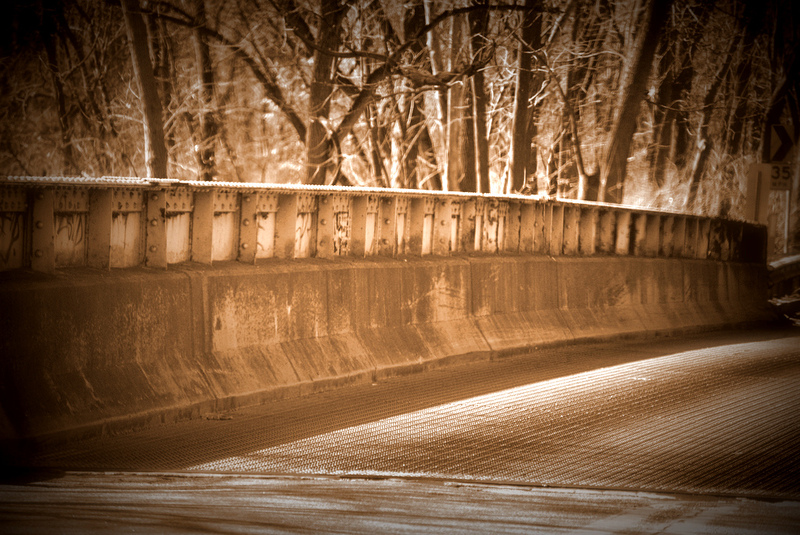 We believe these changes have adversely impacted a tributary of the Birch Run, an exceptional value stream. Has the capacity of the well been determined? Can it support 4 buildings and their occupants? The sewage facilities have been placed along School House Lane above the planned buildings. If this site fails where will the alternative site be? Is this sewage sight 150 feet from the still shown wetlands? There has been No Notification from Birchrun Village, L.L.C. to the surrounding neighbors regarding any of the changes or proposed changes to this property. With the addition of 3 buildings on this property the increase in light pollution will magnify. Now, if lights are left on in the evening or overnight the light enters the bedrooms of surrounding neighbors. What will be the effect when a parking lot for 32-34 cars is illuminated? We would like to see the separate plan sheet submitted showing truck and emergency vehicle access around the entire development as suggested by John Caruolo, P.E. We understand there has been a letter written to the township by the local fire departments. We would like to have copies and review these letters. We strongly believe that the Birchrun Village, LLC. should not be given a waiver to put buildings and parking spaces within the 150 foot set back of streams. Our zoning calls for a set back of 150 feet from an historic building. Their plan calls for placing one of the buildings within 62.5 feet of the School House. Developing this Office Complex will forever change the nature of this historic village. This type of development belongs at Ludwigs Corner or at Routes 113 & 401 not in the village. We strongly ask the supervisors to reject the waivers asked for by Birchrun Village, LLC. Monday’s meeting seems to be an interesting one for several reasons. This is where the Township defaulted on a signed agreement to buy the balance of Transferrable Development Rights from the Dunn Family. The Township, with no legal documentation, gave the Dunn’s a $50,000 deposit and then forfeited the money. Your money. The Dunn’s had the right to sue to force the township into the agreement but thankfully did not. Of course, the Township didn’t HAVE enough money to buy the Rights, they had spent it on other things. Now the Township is back to the table. Let’s see if the Dunn’s deal to preserve a huge tract of land is finally honored for the agreed $1.33 million. Of course, any leverage they had vanished when their statute of limitations to sue expired back in November of 2011. 2. Nothing on the Dave Brown Restriction of Free Speech Resolution is listed. Don’t expect it to come back alive until after the election for Republican Committee people. He has to keep that quiet for now because nothing is more un-American than defiling the First Amendment. If people know about it, they won’t vote for him. 3. Birchrun Village is on the Agenda. The old Township Building in Birchrunville is being developed into a little shopping center. There are many issues including the amount of buildings and intrusion to the Pennsylvania mandated riparian buffer (no building within 150 of any waterway). Strangely, the same people that fight to protect the waters of the Birchrun are once again silent on this issue, just like with the Ken Miller, Roadmaster and Chairman of the Board of Supervisors pollution runoff the EPA documented and the brown water runoff from construction last year. ATTEND THE MEETING MONDAY AT 7:30. MAYBE THEY CAN THROW IN AN EMINENT DOMAIN WHILE THEY ARE AT IT. Today the blog is going national. As in I have chosen to write about something causing a serious dust-up nationally: the Facebook password controversy. What am I speaking about? The news reports and ensuing discussion about employers in this country asking potential new hires for their e-mails and passwords to their Facebook accounts. Are they kidding us? Apparently not. It’s become standard practice for employers and schools to peruse potential applicants’ Facebookprofiles. But in some cases, they are going even further: Some have demanded applicants hand over their passwords so they can view individual’s restricted profiles. Justin Basset is just one of those individuals. Basset was finishing up a job interview, according to the Associated Press, when he was asked to hand over his Facebook login information after the interviewer couldn’t locate his profile on the site. Others have reported similar situations, in which employers, potential employers, or colleges have asked for Facebook passwords so they can inspect people’s profiles. Wow. Would they like to look in our underwear drawers too? (My bras are a little messy, yo.) This is an insane invasion of privacy, and it happens all the time. Take for example certain requirements under the Dodd-Frank Act that contain post-employment look-back provisions. It’s all very Big Brother, but the long and short of it is under this provision (and it’s in the Dodd-Frank Act) , employers and former employees are wed to each other for like five years. But what really isn’t in there is HOW this look-back is supposed to be accomplished is it? Seriously, if someone has left a company and doesn’t want to be found, how do you find them if they aren’t out there on the web with a LinkedIn page or whatever without violating their privacy? So am I surprised by this Facebook thing? Nope. Would I comply with such a request? Nope. And neither should you. People try to overstep every day. I did not do Facebook for years, and when I set up my page a couple of years ago, I decided I liked having privacy settings active. That, however, has chafed with people who know of me but don’t know me. There is a group on the Main Line that a lot of my contemporaries refer to collectively as “The Mean Girls of Bala.” They aren’t all from Bala Cynwyd, but a lot of them are. In essence, if you are different from them in any way it is way too much for them to handle. I became aware of them through local politics. I am a Republican. The majority of them are Democrats. I am not the most conservative of the conservatives, and find myself for the most part, politically in the middle. You know, like the majority of people in this country? I am also fairly independent in my thinking. They can’t handle that. As a related aside, this is why, for example, I cheer on the residents of West Vincent fighting for better government – they are subjected to this garbage in their own community. Whatever. I chose not to engage with this crew. A couple of centuries ago, they would have been the ones tying people up to burn at the stake as witches. So flash forward to a few months ago. I used to be on this community board on Facebook that is one of those “private” boards – as in only those in the group can see the content. I participate on a few of these boards, but I keep my Facebook privacy settings the same. What I did not realize is that if you have people blocked, they can’t see your comments. We are both members of [redacted] Lower Merion Community group on facebook. I realized recently that I can’t see any of your comments or postings. Perhaps because your facebook account is somehow blocking me from seeing. As it is a community group and you are someone who clearly believes in the free exchange of ideas I wonder if you would be good enough to check your facebook settings and allow me to see your posts and comments in this group? Of course what the sender did not realize when she forwarded the message is that she also forwarded other bits of conversation about me including this whole ludicrous thread about me “hiding posts” from them. So pardon me if as an adult, I can choose whom I interact with, right? It was nice to know the privacy settings were working properly, however. I eventually chose to opt out of this group, partially because more of this crew kept complaining to the administrator that my privacy settings kept them away from me and my comments, and I found it slightly bothersome. Although the page administrator never asked me outright to change my privacy settings to accommodate these people, it was more than implied. I wasn’t comfortable with that, and found the obsessiveness of these people when it comes to me downright odd. 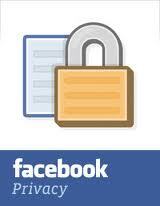 Being on a page, even semi-private does not mean you should be obligated to change your privacy settings. 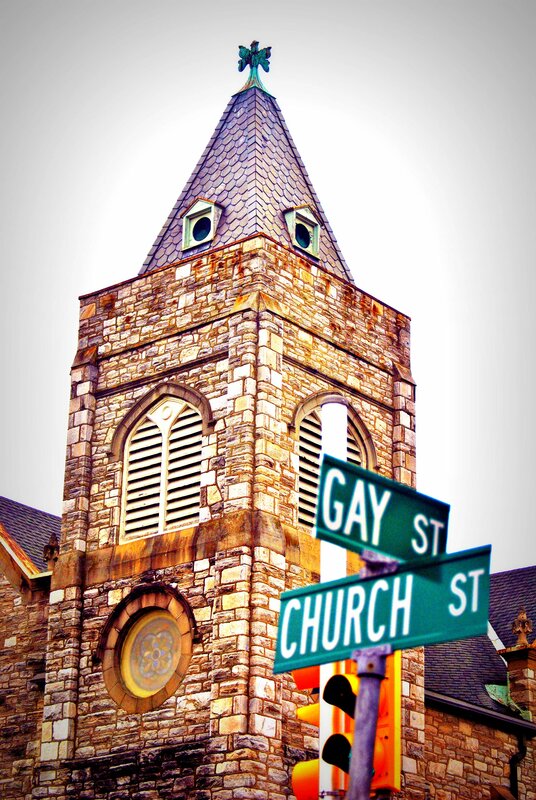 The two are not mutually exclusive. I don’t care for them and they feel likewise, yet I am supposed to just open it all up for their comfort levels and in the end probably just grist for their gossip mills? I don’t think so. So now we have this whole Big Brother debate that as a condition of employment you are supposed to give your employer access to all aspects of your life? That is just so wrong. It’s so slaves and overseers it is frightening. This guy Shel Israel from Forbes.com online says this is all a non-issue and I do not necessarily agree 100%. I do agree with his sentiment that we shouldn’t lose sleep over this in the long run, but I do believe that this country has some Big Brother issues that can be considered creepy. After all, no matter, how openly you live your life, that is a matter of personal choice. If you choose to share things with people, that is one thing. Being bullied or compelled to do so is entirely another. Spring means gardening. I love gardening and moving to Chester County means I can really garden again. Yes I will have critters to contend with, but I am so excited! 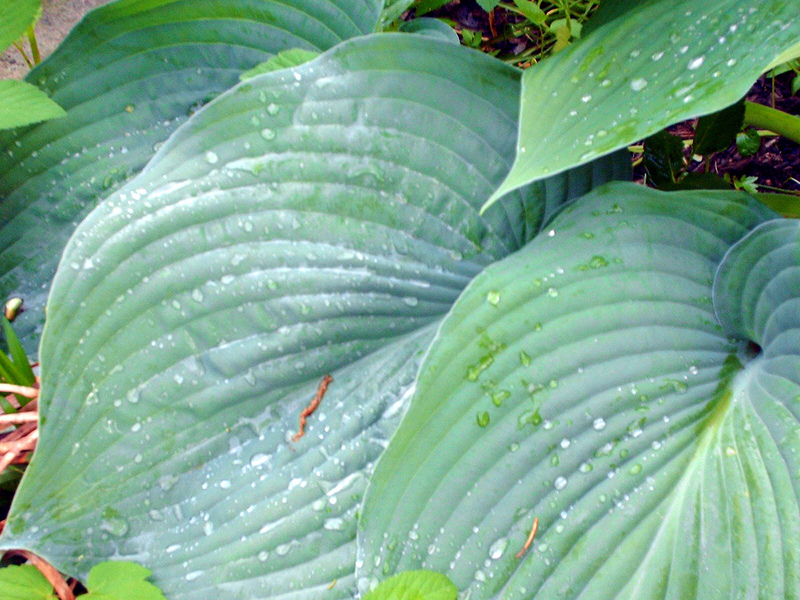 I have been on the hunt for hostas. 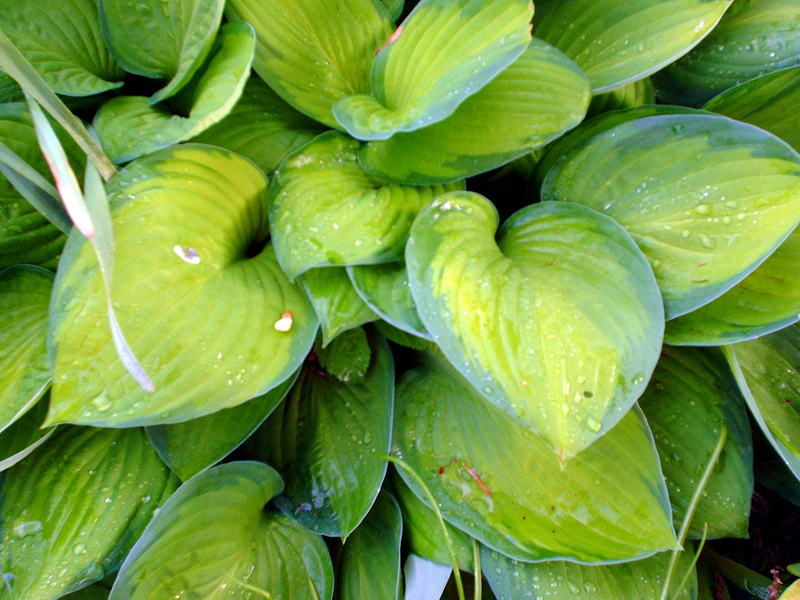 I love the ones with the big wide leaves. I have also been on the hunt for other things, so I did the nursery cruise yesterday afternoon. No, I did not stop at Main Line Gardens. I already checked them out last fall and found them overpriced and snotty. They think they are Waterloo Gardens, only they are not. And speaking of Waterloo, what is up with them? On their website they say they closed the Wilmington, Delaware location, and yesterday when we drove past the Devon location it did not look so stocked for the season. Usually by now there is more to look at driving by. But back to fun: so there is a nursery which took over the old Potters on Paoli Pike called Woodlawn Landscaping and Nursery. 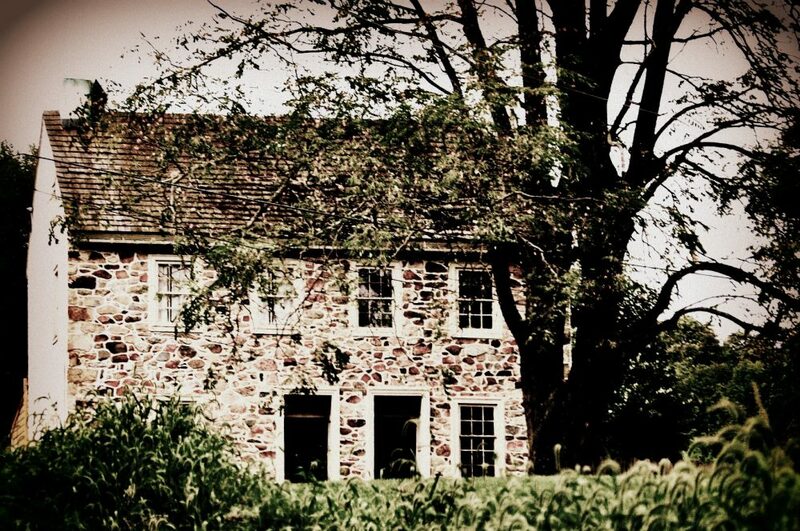 They also have a location in Chadds Ford. We drove in not knowing what to expect and not only did I find everything I needed yesterday but the people were friendly and knowledgable and the prices were more than reasonable. This nursery is a throw back to the ones I loved when I was younger: loaded with good plant material and doesn’t have a cafe and gift shop in the middle of it. Sorry, but I am an old school gardener – I make my own coffee and when I want a gift shop I will visit one. When I want plants, I visit a nursery. I have more gardening to do, and another nursery on my list is Somerset Nursery in Glenmore and Zionsville. It has an excellent reputation as well. Visit Woodlawn Landscaping and Nursery in Malvern at 359 Paoli Pike. Their phone is 610-647-1300. Visit Somerset Nursery in Glenmore at 1697 Pottstown Pike. If you decide to visit them because of this blog post, tell them that you saw them on chestercountyramblings. And no, they do not compensate me for writing about them. But seriously people, it’s time to get your gardening on. I know a lot of you out there think gardening means it is done by other people but in your yard, but truly, that’s not it. Get out there, dig in the dirt. Create. Get messy. Get dirt under your nails you can always get a manicure. It’s good for you and fun! I started gardening early as a little girl with my father. He introduced me to my love of roses and two gardens ago I had 67 different varieties (until the then new homeowner tore them out). As a matter of fact, many MANY moons ago I wrote a couple of articles for the American Rose Society on rose gardening. One still exists and you can read it by CLICKING HERE. 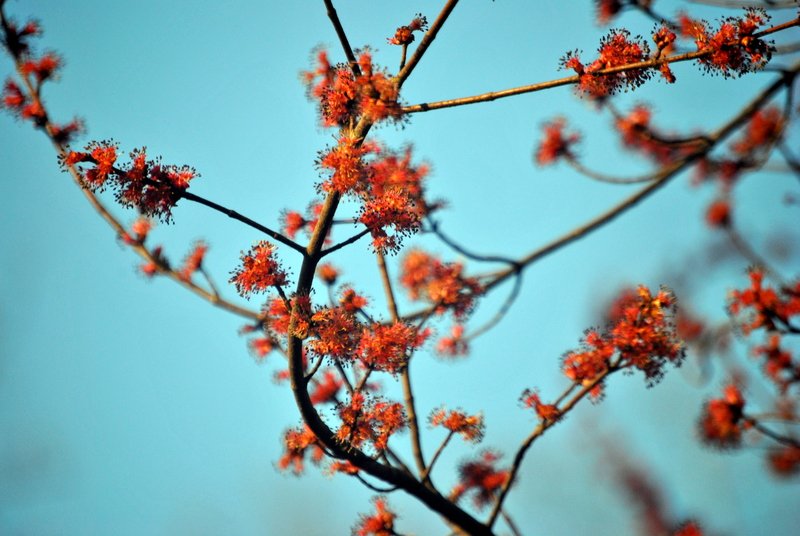 Feel free to share your favorite local Chester County plant sources with me as well and happy gardening!!! O.k. not that it has been a snowy winter or anything. Because it hasn’t and we all know this weather trend could mean a hot, hot summer and water restrictions. 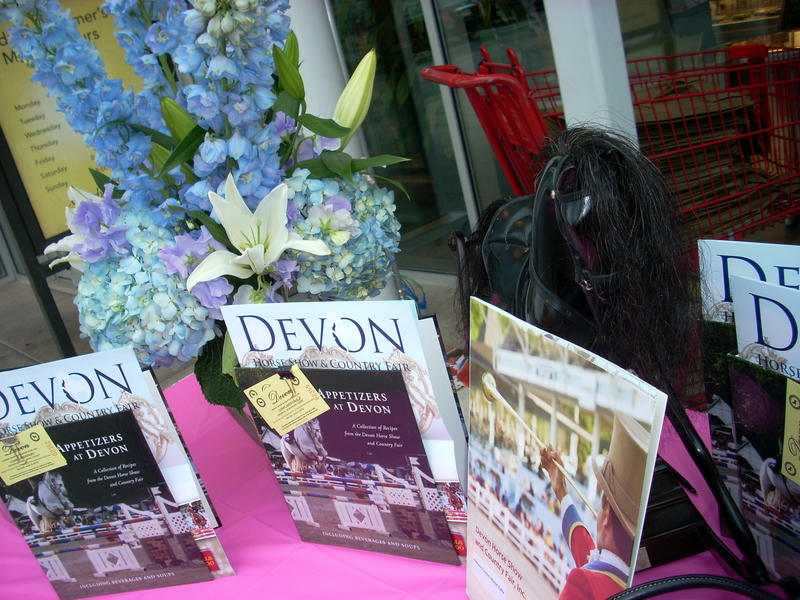 But spring means horse show season is upon us and laste evening I was a guest at a little spring kick off event for The Devon Horse show at Ardmore Farmers Market. 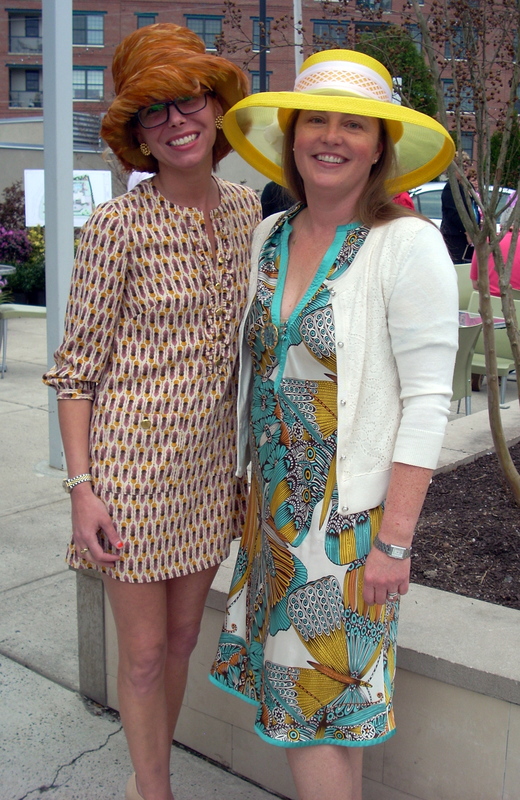 On Thursday, March 21, 2012 the Ladies’ Day Committee of The Devon Horse Show and Country Fair, guests and supporters gathered at the Ardmore Farmer’s Market in Ardmore for a pre-Devon Horse Show cocktail party. 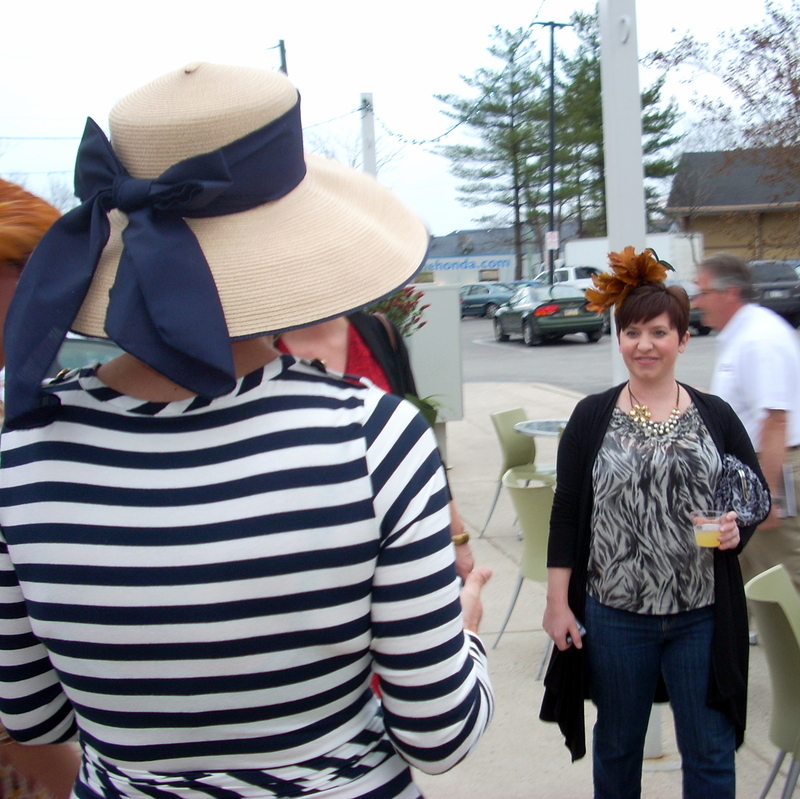 Ladies wearing their best hats exchanged news about the upcoming show, and of course, the Ladies’ Day Hat Competition and Champagne Tea set for Wednesday, May 30. The Devon Horse Show will run from May 24 through June 3, 2012.
anything that isn’t fun or fabulous! Devon Horse Show is a tradition. Visit them on the web by CLICKING HERE. My friend Barb and myself had our photo taken by Susan Scovill. We were garbed a little more traditionally, so we felt like we were photographed with the Spice Girls LOL. 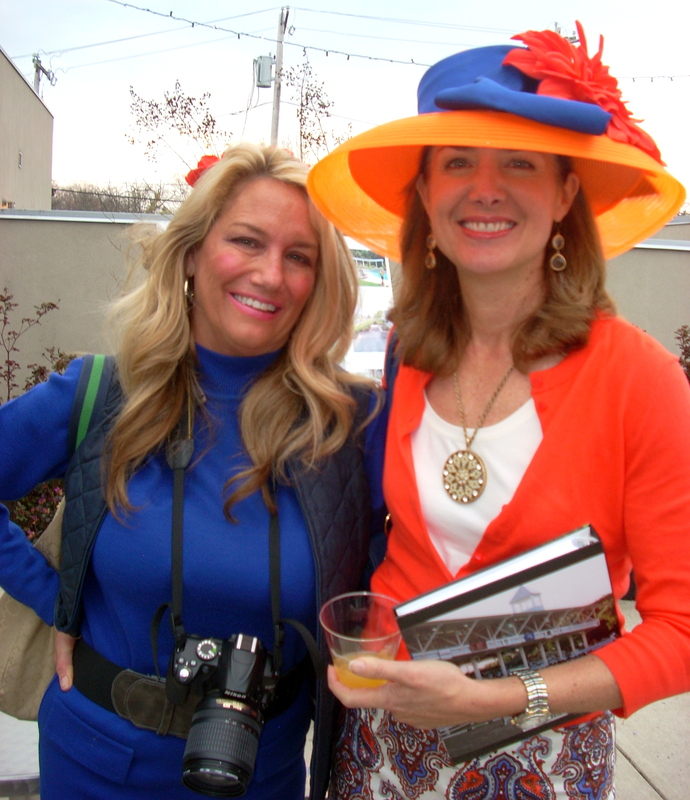 Looks like I am going to need another hat for the Ladies Day Hat Competition and Champagne Tea. I know I am not that much of a hat person to wander about with birds on my head, but it’s a good excuse for a fun afternoon so I will have to see what kind of acceptable chapeau I can come up with. This post isn’t about Chester County. It’s actually about something going on in Radnor Township. It’s about a community garden. 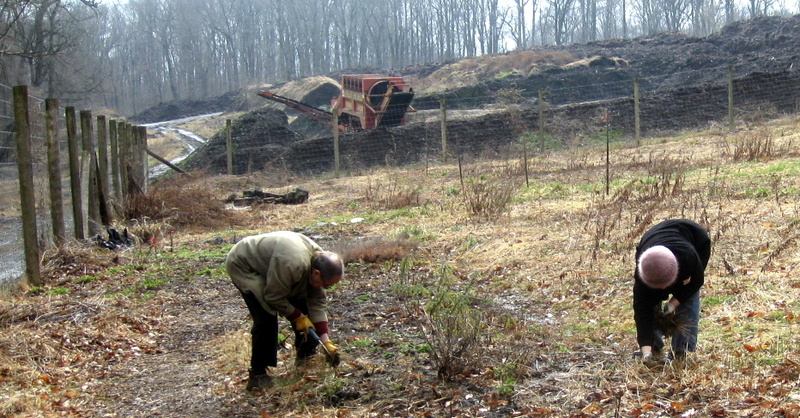 A few years ago, a group called Greener Partners showed up and asked Radnor if they could farm some public land at the Willows at Skunk Hollow. 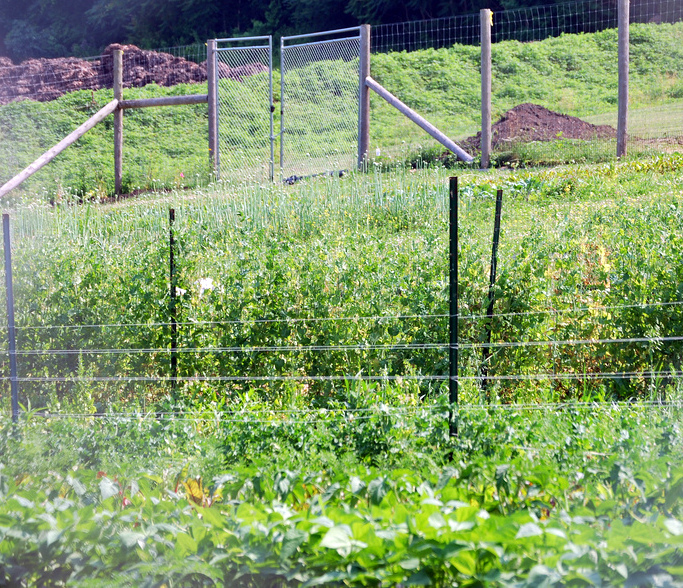 At the time, I thought this was a mistake, because they were farming the land for their pricey subscription CSA – their shares were around $700 – $800 per family if memory serves. I had tried them on for size with friends one of the first years they existed and the share was $500 for the season. And we spent most of the season NOT getting the produce that was on our produce list. I mean I like Bok Choy and all, but when I got a list saying I was getting specific veggies and I would get 3 giant heads of Bok Choy instead, it got old fast. Around this time (or maybe slightly earlier) Greener Partners was also out in Willistown – again on in essence non-profit land. Don’t know whatever happened there. 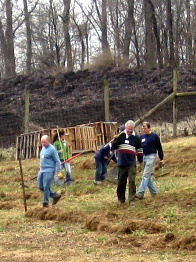 In 2011 CSA shares at Greener Partners were $750. Pricing is similar for 2012. They seem to be out of Chester County and seen to have crept over to the other side of Montgomery County around Collegeville and they are still around Media. Save your money with these people. I believe in organic farming and CSAs and farm markets, but not these people. Greener Partners was founded by a guy named Jason Ingle, whom I believe is also a former venture capitalist. 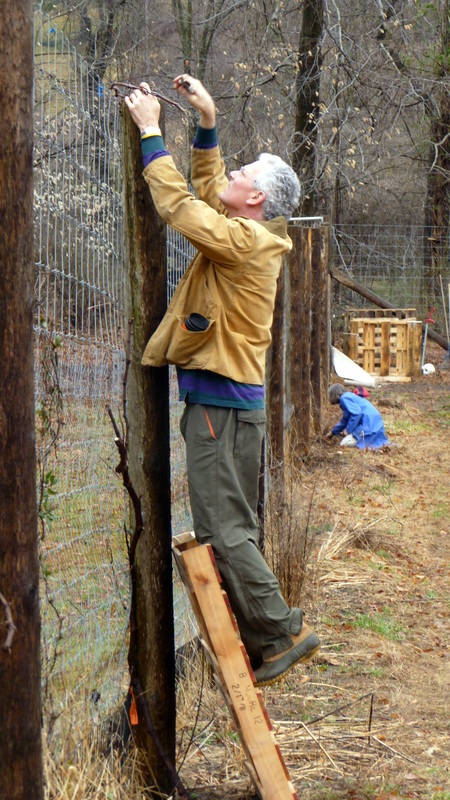 He was part of that Radnor Hunt area dust-up a few years ago with M. Night Shyamalan and his fencing. I at least agreed with that. So why am I telling you about these days gone by? To set the stage. Last summer, Skunk Hollow at the Willows was a shambles. Weeds and thistle and all sorts of stuff had invaded the 2 acres left at this point utterly untended save a few pathetic tomato plants. It was amazing the disarray. I mean even if Greener Partners was leaving, they should have in my opinion left the land at least tidy. If you are even a temporary steward of public land, treat it with respect, right? So one of my friends, Sara Pilling, a wonderful lady and talented gardener had an idea. 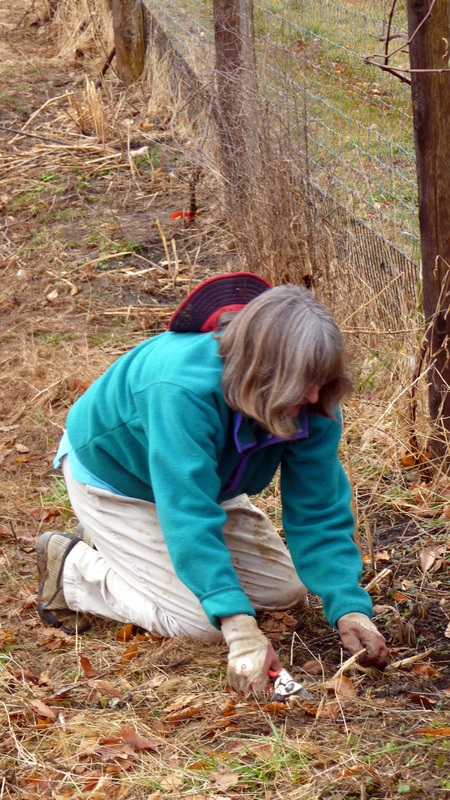 So she planned and measured and drew up plans….for a community garden in Radnor on the site of Skunk Hollow Farm at the Willows. I used to hear about the plans for the garden when she took turns with my other friends driving me to radiation treatments for breast cancer. Shares of the garden new for 2012 went fast. So now Sara and many other volunteers and future community gardeners are hard at work. They have cleared the weeds and been working diligently. What a bunch of volunteers have already accomplished versus what Greener Partner’s farmer and Greener Partners was supposed to have done at the Willows is amazing. And there is a new sense of community being fostered along with this garden. I think this is something other municipalities should pay attention to and create within their own borders. Especially out here in Chester County. I have seen some small community looking gardens here and there, but I think this is something municipalities should encourage and should also sponsor these gardens. Not pay for them, but to allow the space if there is an interest. It is a good thing economically, and surplus can go to local food banks. Of course one other thing that community gardens accomplish is that they literally build community. That in and of itself, considering the world in which we live, is priceless. Besides, digging in the dirt is just good for the soul. I did some of that today myself.